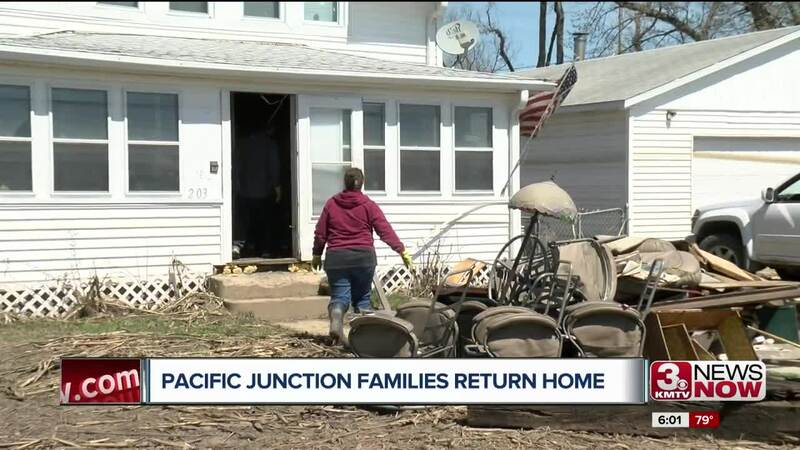 PACIFIC JUNCTION, Iowa (KMTV) — Pacific Junction, Iowa was one of the worst-hit areas in Western Iowa. On Monday residents living on the west side of the city went back for the first time in nearly 30 days. Homes were destroyed and some are still submerged in water. Flooding happened after water rose over the 12-foot levee outside the community. Residents say this is the worst flooding in Pacific Junction's history. "We knew it was going to be chaos but it still hit me hard," said Deanna Langlet, a homeowner in Pacific Junction. "Seeing the house structurally compromised that even hurts worse. It just sat too long in the water. It shouldn't have been in the water in the first place. It shouldn't have come this far." The Langlet's bought their house five years ago as a home to retire in. Their dogs and three grandchildren lived with them as well. "It's hard how to tell them this because up until they came with us they've lost everything they've ever put their hands on and we told them this is your home and this is yours, if something happens to us this is yours and now it's hard to take because it's been taken away," Langlet said. 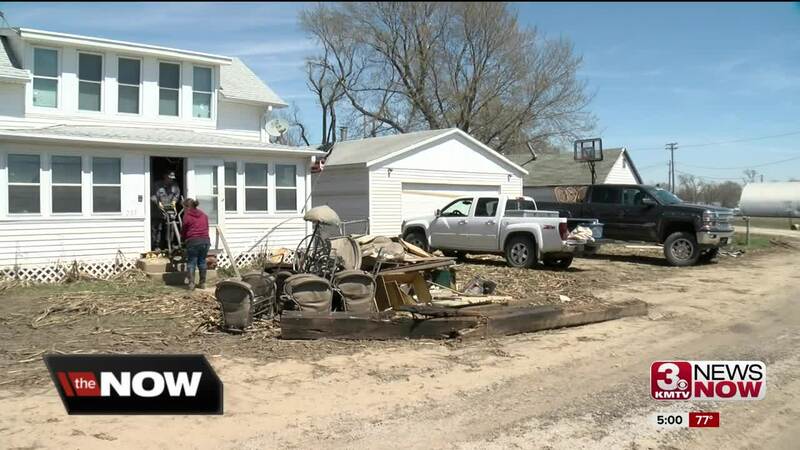 The family was able to save some items before leaving in mid-March, but they lost many items and valuables in the flooding. "We can recover the house," Langlet said. "We can't recover some of the things we wanted to pass down to the kids." The family is still contemplating whether to bulldoze their house. Currently they're spending their savings on places to stay while they assess the damage. "When you say okay we're going to get brand new appliances, we're getting brand new furniture, we're getting another motorcycle," Langlet said. "Those are things we should be doing at our age, not starting over." However, the family thinks their situation is better than some in the community. "We're blessed honestly we are," said Rory Langlet. "We have family that takes care of us. The church, we are very much blessed but a lot of people aren't. There are people still living in their cars at least we have a home and they're worse off than we are. This is the only town that I was welcomed in. We're brothers and sisters with everybody here." The Langlet's might not live on the same land moving forward, but they plan to stay in Pacific Junction. "You stand strong and you keep going," Deanna Langlet said. "I don't know what else to say. That's how I look at it. Yeah it hurts but you just keep pushing through."